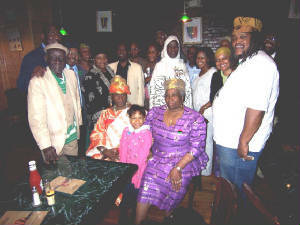 The Elders Council for Afrikan Union Diaspora 6th Region for New York held a dinner on May 5, 2007 to celebrate the elected Representatives, A. Lumumba Grant, and Ras. E.S.P. McPherson; and Observers Nova Felder, Bakary Tandia. 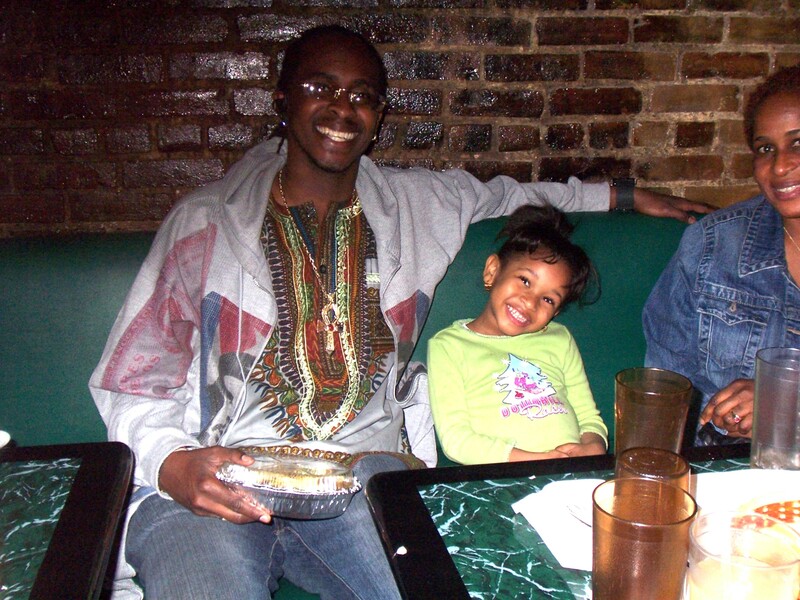 The event was very well attended, and was held at the Afrika Kine Restaurant on 116th Street in Harlem. Only one Representative was not able to attend (Ras McPherson). We all sat down together and ate as one big family. Lumumba Grant, Nova Felder and Bakary Tandia spoke to those in attendance sharing their ideas and excitement regarding this very important time in our history. Everyone relaxed, kicked back and spilled over into two tables, dining-room style. We made comments and shared our thoughts and ideas. We had a very pleasant dinner and the Senegalese Cuisine was superb. African Union here we come!